Direct Access to the Father! 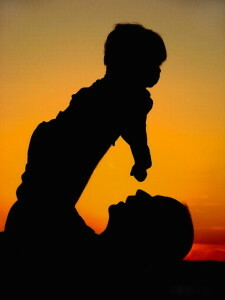 Your Father has a soft place in His heart just for you that gives you, as an insider, direct and complete access to Him! 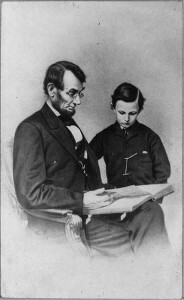 Todd happened to be President Lincoln’s son, and he said, “Daddy, this soldier needs to talk to you.” Right then and there the soldier had a chance to share his story with the President and was exempted from military service due to the hardship his family was under. Because of Jesus, we have been given the breathtaking right to come straight to our Father, who, unlike President Lincoln, always has time for us. Papa not only has all of the solutions and resources to provide for what we need, but He especially loves it when we just want a hug and to be near Him. We don’t come to Him once we think we have our act together or when we think we are clean enough or good enough. If that were the case, we would all still be waiting outside. No, we have a Daddy who adores us so much He devised a plan—that Jesus carried out—so we could come to Him clean and perfect as His precious children, all of the time! So, friends, we can now—without hesitation—walk right up to God, into “the Holy Place.” Jesus has cleared the way by the blood of His sacrifice, acting as our priest before God. The “curtain” into God’s presence is Christ’s body. So let’s do it— full of belief, confident that we’re presentable inside and out. Let us, then, have no fear in approaching the throne of grace to receive mercy and to find grace when we are in need of help. Child, how about that hug? In My arms you can let Me know whatever is troubling you, but in My presence you may just forget those troubles, because I’m here to love on you and to reassure you that I know how to take care of you! How do you experience the Father’s embrace? Tell me your stories! Great Post!! It makes me think of the times Abba Father has taken me into His arms and held me. Then there have been those times that He has danced with me..kissing me on the cheek…Most recently my God encounter was an amazing experience with Fire Angels filling my room and God giving me their names and their purpose for coming. God spoke to me and gave me an amazing word for this area for the 2nd wave of the revival!! It felt as if I was lifted into heaven!! It was way too heavenly!!! Thanks for sharing this, Tina! Declaring more and more encounters that lead you deeper and deeper into Papa's love! It’s fairly new to do…i think since you posted on your FB site how He likes when we just need a hug (like in your last blog “I love this part,” ) but when I feel overeheed, vulnerable anxious or afraid Im more dramatic so just cry out, ‘Daddy (or Jesus) please hold me!” And He does. And I calm down and feel Him and His love. That’s pretty much it. That’s wonderful, Elizabeth! I can see Papa’s tenderness towards you as His cherished daughter. The voice of rantionality! Good to hear from you.